If you are a financial professional who has a great deal of expertise in federal employee benefits, then you may be eligible to receive to federal employee leads from interested federal workers who have contacted CompareFEGLI.com. CompareFEGLI.com connects only the most well-trained and licensed insurance agents with federal employees who are looking for ways to reduce their cost of life insurance through third-party, private market alternatives. CompareFEGLI.com helps prospective life insurance policyholders get direct access to local financial professionals that can give them sound financial advice regarding life insurance products. The professionals or agents advise potential clients on how to choose the most appropriate and affordable life insurance policies. In other words, CompareFEGLI.com has the necessary resources to help federal employees reduce their life insurance costs. 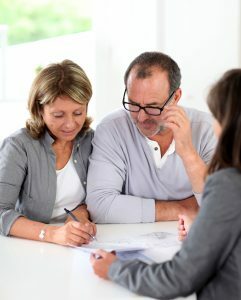 Apart from providing life insurance information for federal employees, CompareFEGLI.com provides life insurance quotes for some of the leading independent life insurance companies. Many insurance companies offer life insurance policies, and it is always important to compare their rates with FEGLI. CompareFEGLI.com helps customers and agents to compare FEGLI with other independent life insurance plans. Comparing FEGLI with alternative policies enables an agent attempt to come up with the best combination of death benefit and cost that meet the specific needs of a prospective client. Impersonal call centers may not be able to help federal employees with specific life insurance needs, so federal employees should, as a rule, work with local professional or agents that can help them find the most appropriate life insurance products. The FEGLI calculator enables you to determine how much you can save by helping your calculate potential alternatives to FEGLi that could save you money in the long term. Only CompareFEGLI.com agents and other enlisted independent agents can have access to the information submitted by prospective customers. Agents are life insurance experts that guide federal employees when it comes to finding alternative life insurance products that meet their specific needs. Contacting federal employee leads should not in any way violate the Do-Not-Call Registry or be spam. CompareFEGLI.com is not liable for any agent mistakes or actions. The specific financial needs of a customer are addressed by a professional with the most relevant qualifications. Customers submit quote requests details to the website, which are shared with insurance agents or financial professionals for a more accurate response.